2018 is here! And if you’re anything like me, this means you have a long list of people to write thank you notes for! 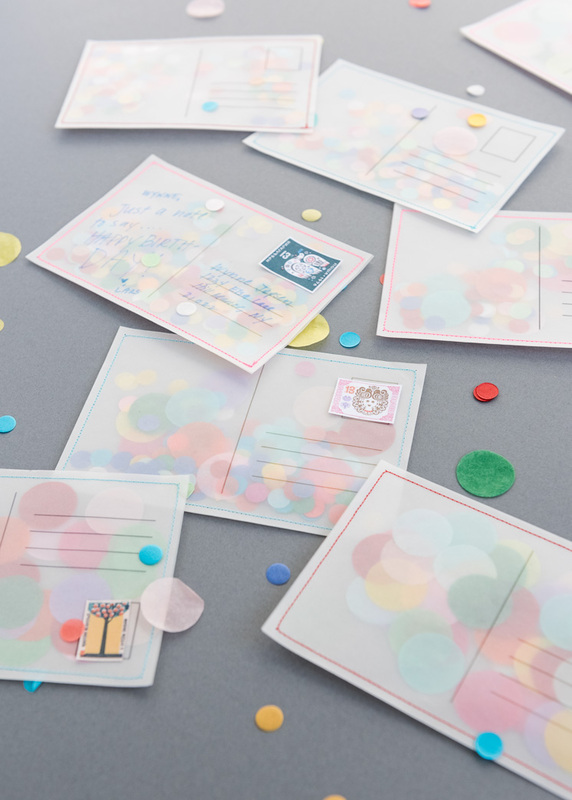 These DIY Confetti Postcards are the perfect thing to whip up at the beginning of the new year to have on hand. 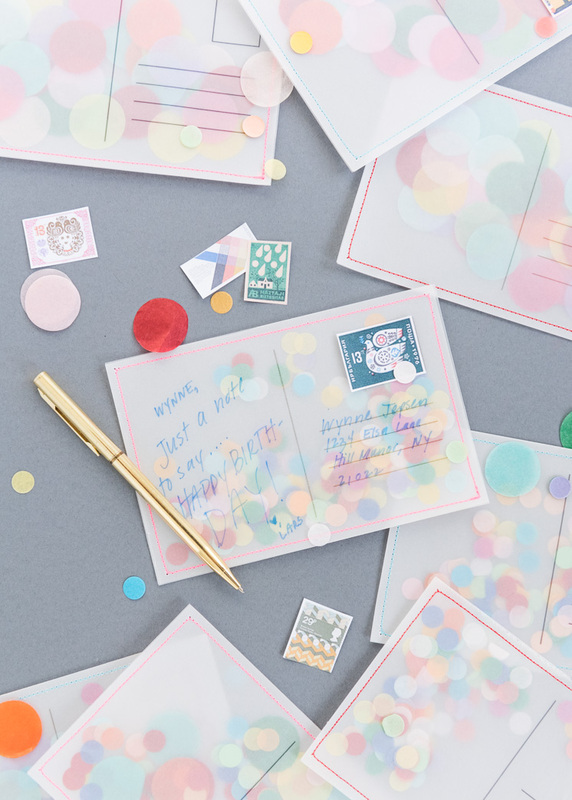 Whether it’s a birthday, a thank you, or just a note to say hi, these colorful postcards will do the trick for whatever occasion. 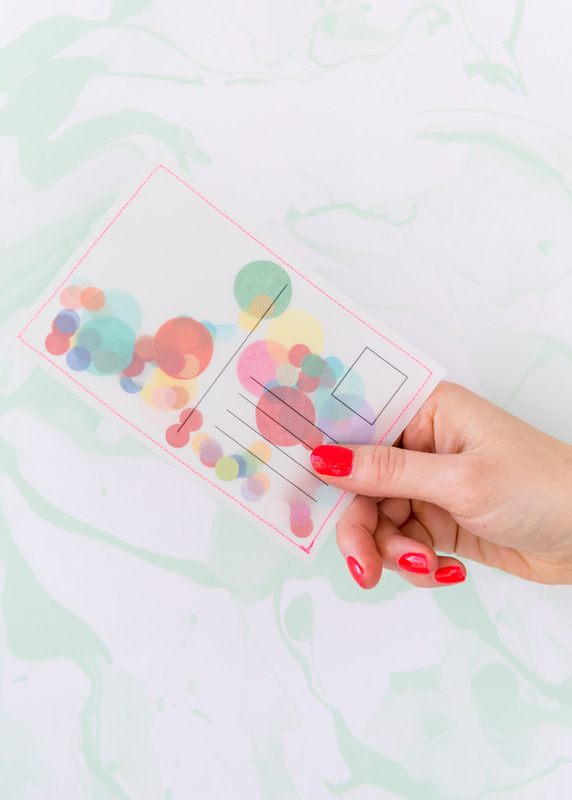 With vellum, thread, and confetti rounding out the materials list, this easy DIY is a great way to kick off the new year! 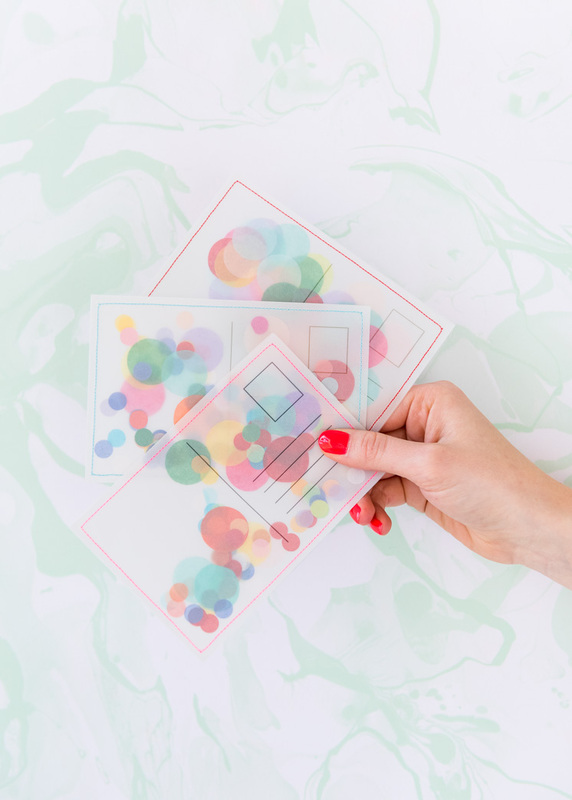 If your resolutions include being more creative, thinking of others, or being more mindful, this DIY Confetti Postcard is sure to put on the right path! 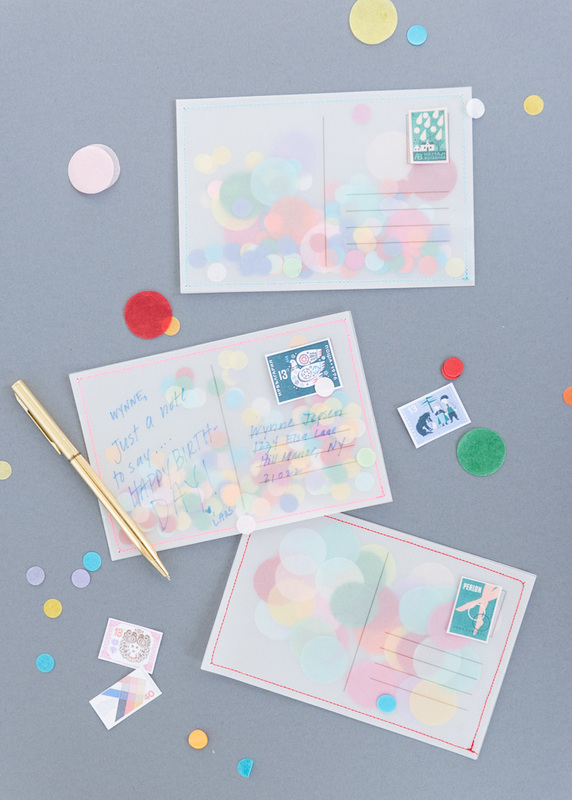 Your recipient will be pleased as punch to receive a burst of confetti in the mail without any mess! 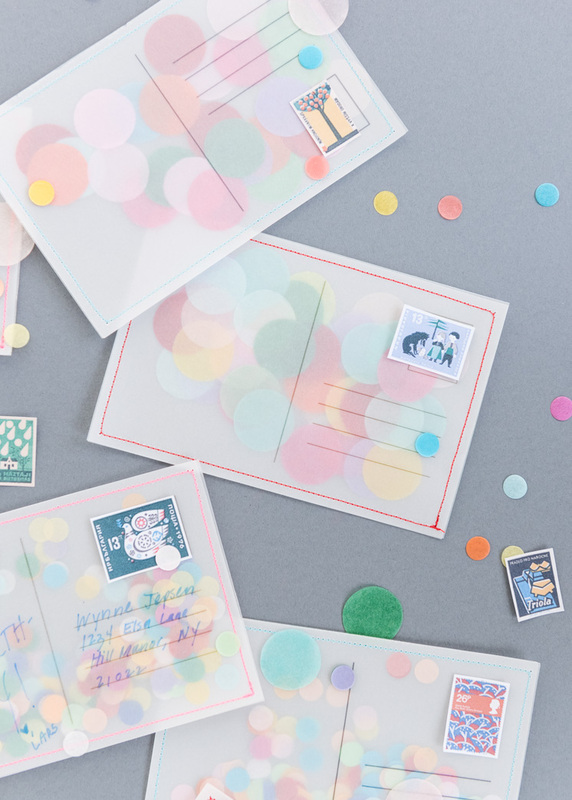 Start creating your Confetti Postcards now with the full tutorial! 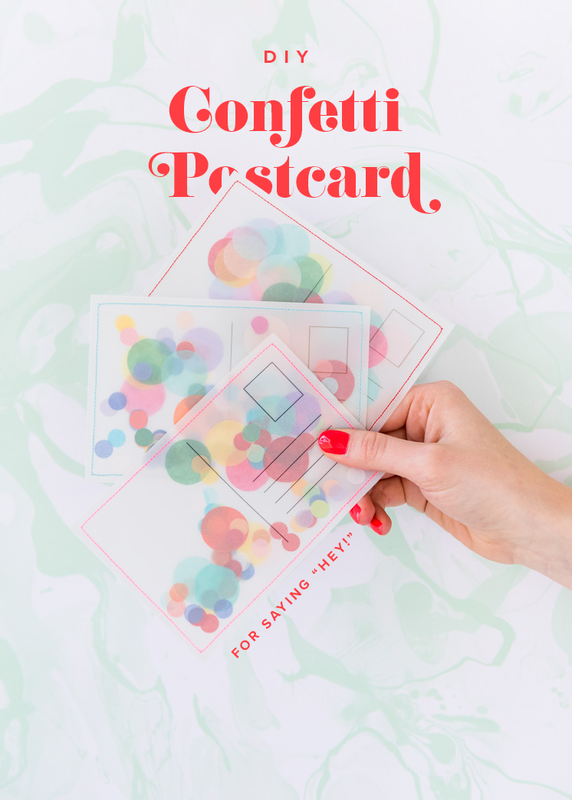 Download the postcard template and print out on a piece of vellum. Cut out the front and back of the postcard, trimming off the outer guidelines. 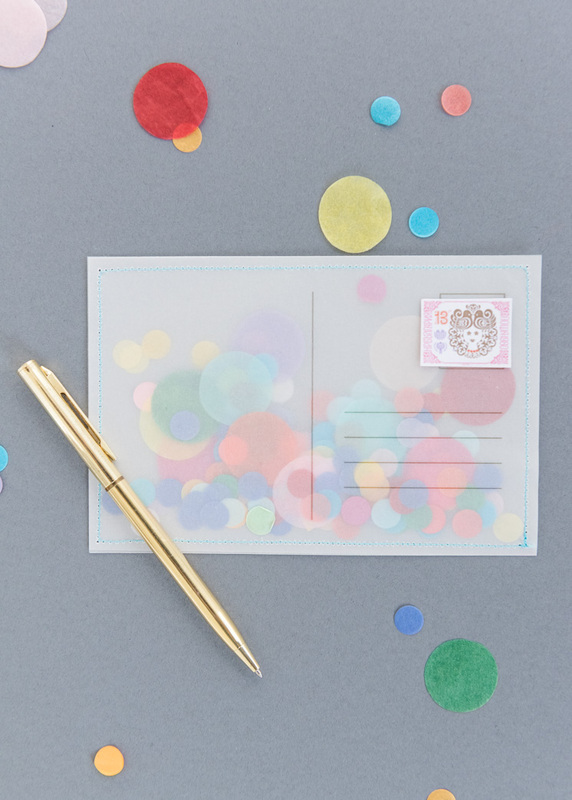 Take some confetti and sandwich it in between the front and the back pieces of vellum. Holding the two pieces together with the confetti in between, sew the postcard together with a 1/4-inch seam allowance, making sure to not sew over any confetti. Alternatively, you can use a glue stick to seal it shut (apply a generous amount!). Start in a corner, backstitch, and continue around the entire card and backstitch to finish. Trim threads. 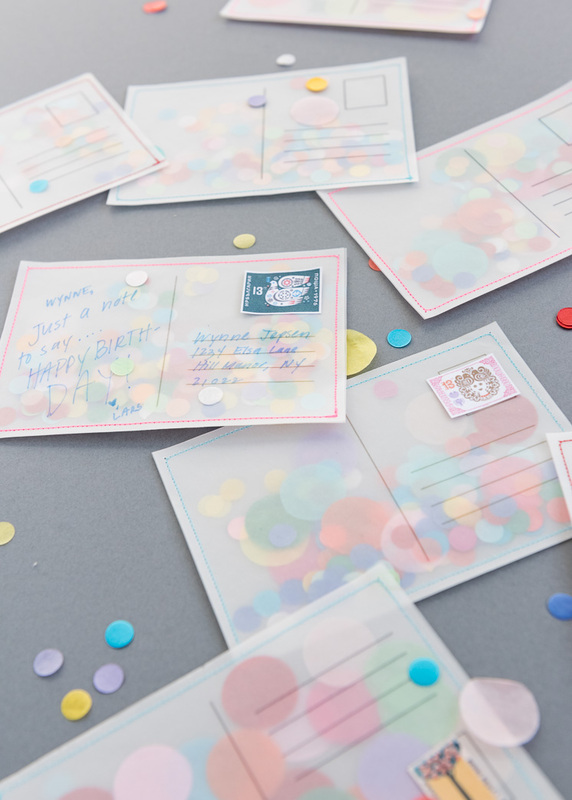 Write a sweet sentiment, pop a stamp on, and slip your DIY Confetti Postcard in the mail!